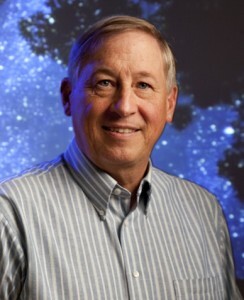 A physicist who leads the Oregon Center of High Energy Physics and took part in the recent discovery of Higgs boson, a subatomic particle that advances human knowledge of the structure of the universe, will speak at Wright State University. James Brau, a physics professor at the University of Oregon, will give a public talk on Higgs boson Friday, Feb. 7, from 4:30 to 5:30 p.m. in 109 Oelman Hall. The talk is free and open to the public. He will discuss the particle’s discovery and speak about the importance of its discovery in the fundamental understanding of mass of matter. James Brau is physics professor at the University of Oregon. 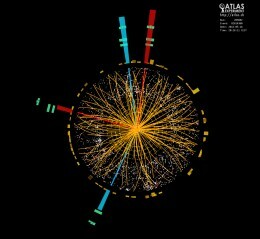 Brau was on a team of physicists that detected the Higgs boson by using a particle accelerator at CERN, the European Organization for Nuclear Research near Geneva, Switzerland. The discovery has been called monumental because it explains the origin of mass of fundamental particles and could potentially lead to new developments in physics. The discovery was announced July 4, 2012. Doug Petkie, Ph.D., chair of the Physics Department, said getting Brau to come to Wright State is a coup. He said the discovery of the Higgs boson affects everyone and that Brau will explain its significance in terms a general audience will understand. Brau will also speak on Saturday, Feb. 8, from 10 to 11 a.m. at the National Museum of the United States Air Force.